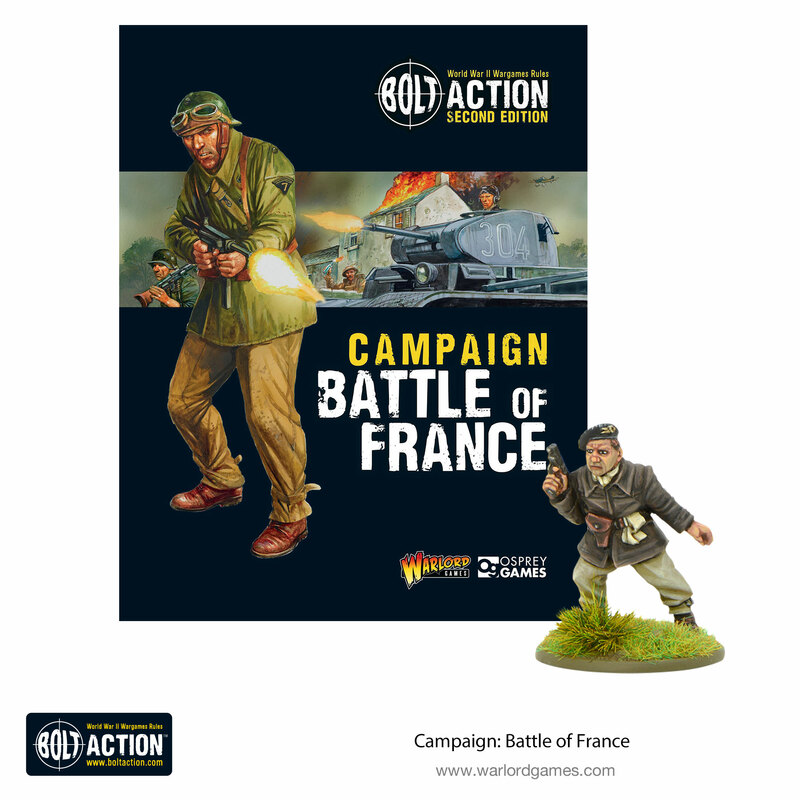 We’ve just announced the release of our Battle of France campaign book. We’re going to charge straight in and have a look at what’s in the book! Germany’s campaign in the west during the spring and summer of 1940 would cement the Wehrmacht’s reputation as the most formidable fighting force on the continent and break the backs of two major powers in a single decisive stroke. For the first time, we saw the true power of mechanised warfare, with armoured units, aircraft and the attending infantry working in concert to smash through strongpoints and exploit the weaknesses in a less mobile opponent. Our new campaign book is the perfect resource for Bolt Action players wanting to explore the early war period in more detail, with plenty of additional units for the British, French, Belgian and German armies and a wealth of background detail on the battles and formations involved. 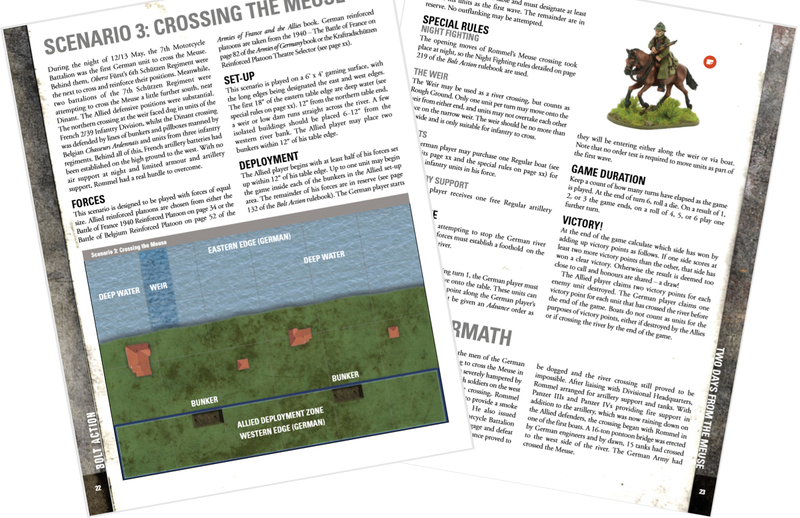 Like all our campaign books, we’ve included a series of detailed scenarios to help you recreate the key battles of the period. 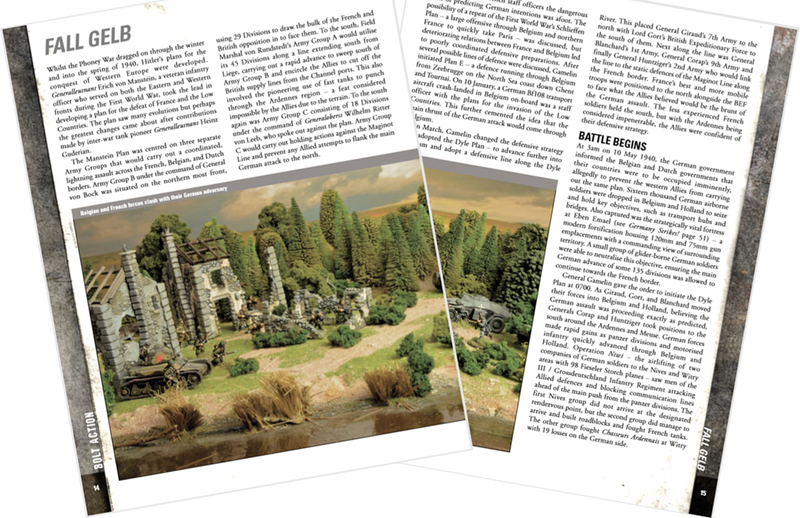 There are guidelines on how to build armies for each scenario and clear diagrams for setting out your table. We’ve pulled out all the stops to make these scenarios stand out, with a raft of special rules to keep your games interesting! Along with all the scenarios, there’s a selection of new units, some of which apply specifically to the campaign, while others are more generic and can be used in other games of Bolt Action. 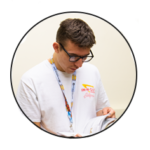 Since he’s got the whole Web Team excited about the new book, we asked Warlorder Tom what his favourite new unit from the book was. Tom: The new book is packed full of exciting and evocative units for all four armies involved in the fighting. The German Spahtruppen really caught my eye, with the ability to scout forward ahead of the main force, a great way to represent the forward elements of a Panzer division on the move. They also present a great modelling opportunity, a chance to make some scouts crawling through the undergrowth. 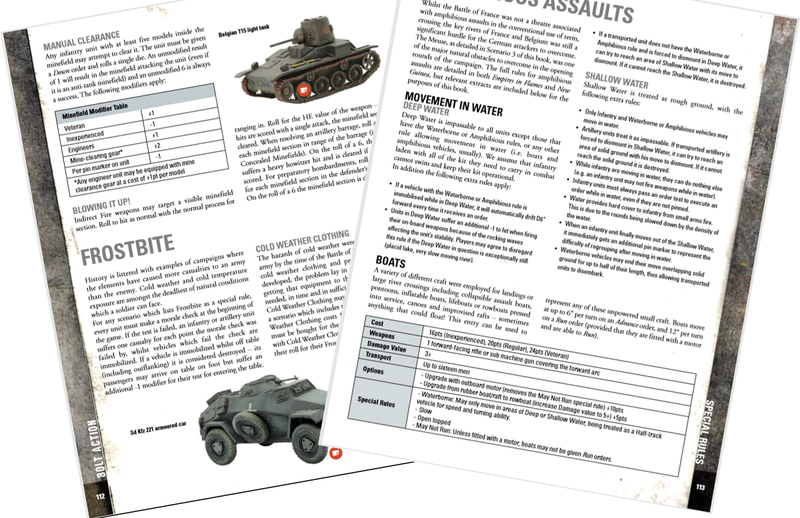 The book contains plenty of new rules to spice up your games. Much like the additional units, some of these are tied to specific scenarios, while others are more generic. 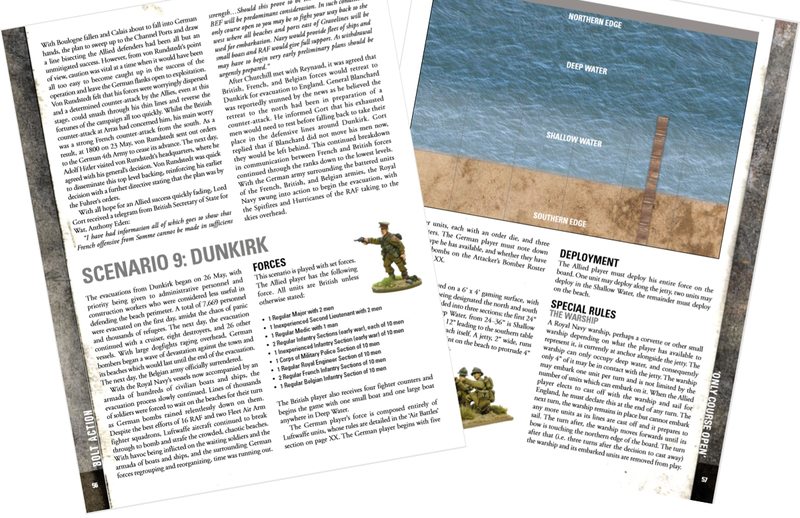 We’ve added a set of campaign rules, to provide you with a framework for linking your games together, along with a set of rules for managing more complex air battles in the skies over your battlefields and rules for managing simultaneous games across multiple tables. The post Frontline Report: The Battle of France begins! appeared first on Warlord Games.